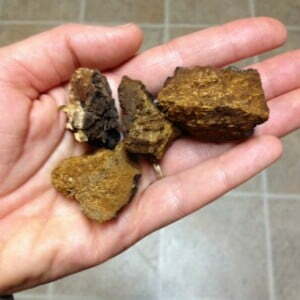 Today my friend and faithful blog assistant, Jill, tells us about chaga tea. I'm one of those that loves a hot drink in my hand any time of the year, whether it's my hot coffee, steaming bone broth, some healthy/herbal teas, or a cup of hot Dandy Blend, so it's time to try something new! Note: I'm reposting this info today because recently a good friend has been raving about how chaga tea has made such a difference in her family. It has helped her finally sleep well again. If you've ever had insomnia, you know how huge this is. They are both no longer too tired to function each day because it reduced their fatigue so much, this was making their lives so difficult! It has also helped relieve her friend's arthritic pain. This is the kind they drink. Her son throws the chunks in a tea ball (like this one) and puts it in a thermos of hot water to sip on all day. Some notice benefits when they toss it into their coffee, but another person in her family only finds that it's helpful on its own. My friend likes using the grounds in a tea ball and drinks 2-3 cups per day. She uses about 1 teaspoon for a mug of hot water and that lasts for a couple of cups. It's so difficult to know for sure what's best because this is all just one family's experience and not exactly scientific! So obviously, just see what works for you. Did you know about all of these health benefits of chaga mushroom tea? I'm shocked as I learn more about the power of mushrooms! Chaga has powerful anti-inflammatory, antioxidant, anti-viral, anti-cancer, immune-enhancing, and other more specific therapeutic properties for many health conditions. It is also considered an important adaptogen. Adaptogens are natural substances that help the body adapt to internal and external stressors. 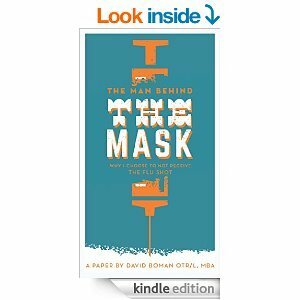 They help normalize stress response, balance stress hormones, reduce fatigue, and increase mental sharpness and resistance to disease. Other examples of adaptogens include Siberian ginseng (AKA eleuthero), rhodiola, and cordyceps. Read medical research on chaga mushrooms here and more cancer-specific research on chaga from Memorial Joan Kettering Cancer Center here. The flavor of chaga tea is pleasantly “earthy”, rich yet mild, and slightly nutty. Most enjoy drinking it alone but it also compliments just about anything you would want to make with it, whether that be tea, coffee, Dandy Blend, or even soups and sauces. While it looks like coffee, it doesn't share coffee's bitter and acidic qualities and it's more earthy tasting than tea. The rich, mellow flavor and health supportive properties make it a wonderful coffee replacement. 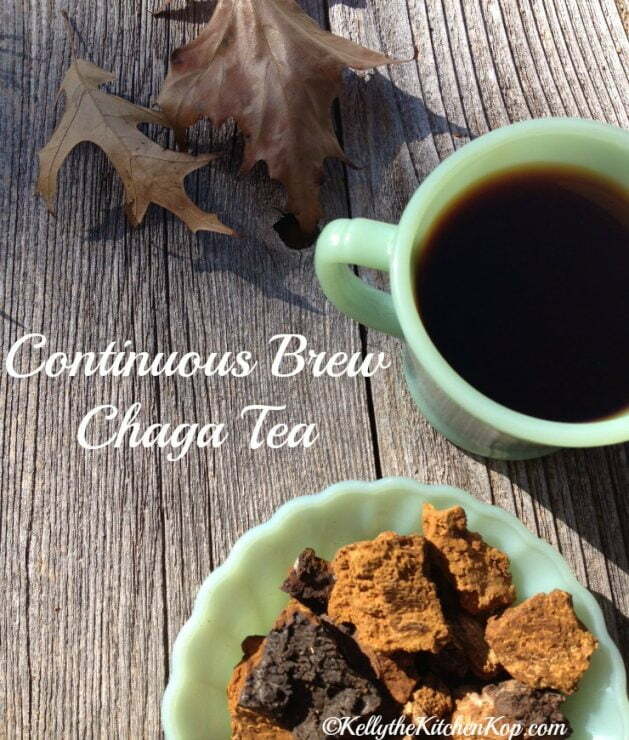 Chaga tea is delicious and incredibly easy to make in a slow-cooker as a “continuous brew” beverage. You will find other more “involved” ways of making chaga tea but the way I do it is the easiest. Place a few chunks of chaga (1/2 ounce or slightly more–see photo at right for a rough estimate) in a 1 1/2 quart slow cooker. Fill slow cooker with filtered water and set it on low. You'll know it's ready when the water has taken on a dark brown color similar to coffee, about 4 hours if you started with hot water or overnight if you started with cold water. Replenish the water as you ladle out chaga tea so the slow cooker remains full and you can continue using it throughout the week. When the flavor and color becomes weak (light and transparent), the mushrooms are spent. At that point, fish them out with a slotted spoon and replace with fresh mushrooms. I find myself replacing spent mushrooms about once a week, but that all depends on how much I drink and use each day. You'll be surprised at how much mileage you can get out of a small handful of chaga chunks! I keep my little slow cooker of chaga tea going all winter long for general immune support and a convenient, ready-to-drink hot beverage. I also use chaga tea as a cooking liquid for sauces, soups, stews, and roasts, sometimes to stretch broth when I'm a little low for a recipe or if I just need a small amount of liquid to thin a sauce and don't have any broth on hand. I ladle it into a mug to drink plain, or use the chaga tea in place of water to brew other teas, coffee, or in Dandy Blend (my favorite, because of the rich flavor chaga contributes). Chaga tea makes a delicious substitute for hot water when making hot chocolate. Our daughter combines strong chaga tea with whole milk (about equal parts) and then adds coconut sugar, cocoa powder (or cacao), and a little vanilla and a dash of salt. Heat it gently on the stove until the coconut sugar is dissolved and it reaches your designed temperature for drinking (this won't take long because the chaga tea is already hot). You could also replace the milk with cream and simply use less. Chaga shares a chemical constituent with vanilla (vanillin) so if you pay close attention, you will notice a subtle vanilla-like undertone to the flavor. In 1968 Aleksandr Solzhenitsyn wrote about using chaga mushrooms to fight cancer in his book, Cancer Ward, in which he also famously wrote about kombucha. Even though chaga is a mushroom, it is hard and woody so the mushrooms themselves don't work well in recipes. The same can be said of reishi mushrooms, which I learned the hard way when I put a bunch of small broken up pieces in soup! Both are too tough to “eat” but they can be simmered in tea or soup/stocks whole and removed to impart flavor and immune-supportive benefits. On the other hand, shiitake is a great tasting and immune supportive medicinal mushroom that is not woody so it is perfect for cooking in both fresh and dried forms. 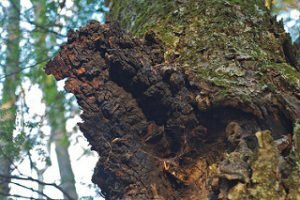 Here's an article on chaga by Paul Stamets, who is considered by many to be *the* leading mycologist (Fungi Perfecti is his company). Nutrition and health writer, David Wolfe, is a huge proponent of superfoods and medicinal mushrooms, and considers chaga to be the star of them all. 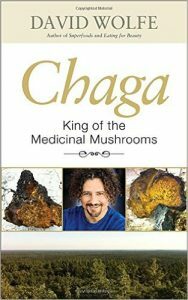 You can read more in his book, Chaga: King of the Medicinal Mushrooms. These mushroom capsules don't have chaga, but they do have a couple highly regarded mushrooms that help with mood and stress: Lions Mane and Reishi. See more about how these can help with anxiety and depression in #14 at this post on healing anxiety and depression naturally. 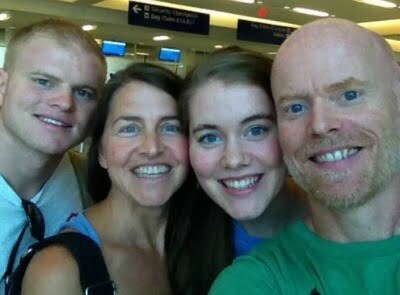 My husband and I live in Waco, TX, along with our two awesome college age kids. I have a small business, selling handmade personal and home care products at our farmer's market and local retail sites. I am also Kelly's blog assistant. 🙂 I am passionate about real food nutrition, natural health, local food, and I love to cook. Fortunately we have access to lots of local food via our fantastic farmer's market, nearby farms, and even a grocery store that sources much of its food locally. Are flu shots the moral choice?! See all Jill's posts here. This is exactly what I was hoping to find! Thank you! My kids were sick so I made comfrey, gignger, licorice, nettle tea with shiitake mushrooms and it worked beautifully! I can’t wait to have continuous batch Chaga and make tinctures! We love dandy blend in our house too! 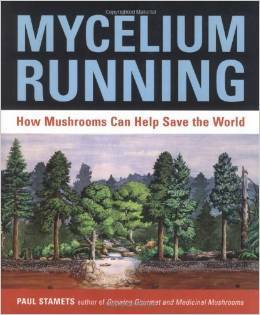 Love medicinal mushrooms and love Paul Stamets. That’s awesome, Carrie Albright! Have you tried it yet? Not yet, but I think I’m gonna tomorrow 😉 I’ll let you know what I think! I think i had some in a walnut-milk drink…it was quite nice, actually. Yum. I think I saw a chaga while I was riding my horse a few weeks ago. It was inaccessible and I’m sure I’ll never find it again. Ooh, that’s a treasure to find! Wow I had no idea! Thanks for sharing! I was looking for the answer to how long I could leave my chaga in the crockpot and I was pleasantly surprised to not only find the answer here, but to come across a fellow Wacoan. Love you site. I’ll be a regular. Oh wow, Journey! How cool! Come meet me sometime at the farmer’s market–I’m usually there on Saturdays at the Happy Stuff booth! Using more Dandy Blend might be just what it needs. I know for myself, I like to make it strong and it seems to be missing something when I only use the amount the DB package recommends. I use a heaping tablespoon in my chaga tea/Dandy Blend and it’s great just like that. But, I’m also someone who likes my coffee black and never sweetens tea (or coffee) either. I hope you know how much I enjoy your helpful blog. Some people use chaga as a base for smoking blends. It helps any pipe stay lit, so less messy. From what I’ve heard of native use, chaga is not so much a superfood as a medicine. Or at any rate more medicinal than culinary. I am not certain that daily use is advised. 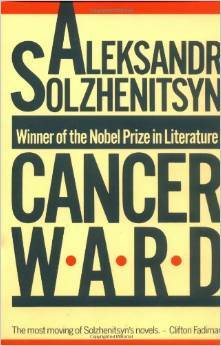 Solzhnetsyn’s “Cancer Ward” speaks of people being rid of cancer from use of this tea, taking it from a local source under the radar of their medical regime. I think these patients had not been customary drinkers of chaga. Dr. Elena Loboda is knowledgeable in such things.